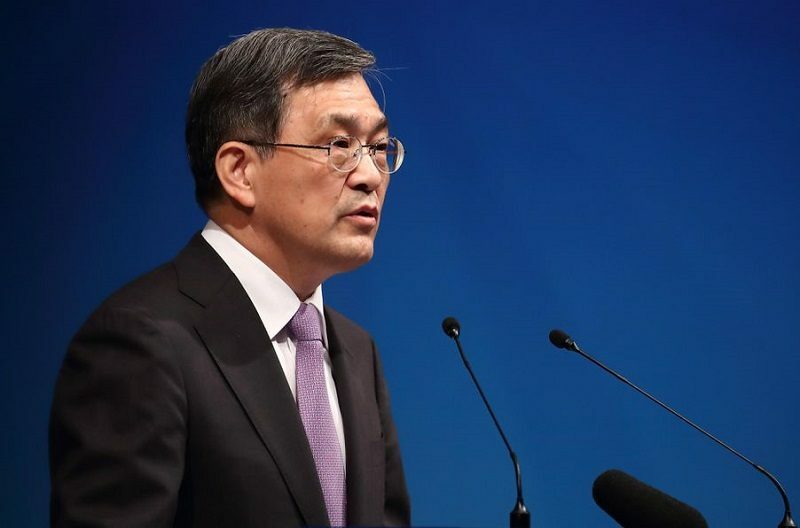 Kwon Oh-Hyun, the CEO of Samsung Electronics resigned Friday, saying the South Korean tech giant was facing an “unprecedented crisis”, even as it flagged record third-quarter profits. His resignation comes as the company struggles to overcome a bribery scandal that sent Lee Jae-Yong, its de-facto head and heir to the Samsung empire, to jail. Friday’s personnel announcement came shortly after the company said it was expecting to log 14.5 trillion won ($12.8 billion) in operating profits for the July-September quarter, an all-time record and nearly three times the 5.2 trillion won of the same period a year earlier. South Korea’s largest company has been seeking to move past a bribery scandal that saw Lee thrown into jail, and to overcome a damaging recall last year of its flagship Galaxy Note 7 smartphone over exploding batteries. Lee, who was found guilty in August of bribery, perjury and other charges relating to payments made by Samsung to the secret confidante of ousted president Park Geun-Hye, is appealing his five-year sentence and says he is innocent. Kwon’s sudden departure may be a calculated legal tactic to seek a softer punishment for Lee, said Shim Jung-Taik, an author of several books on Samsung and its corporate culture. “Lee’s lawyers may argue that Samsung, with the veteran Kwon gone, needs its vice chairman back more than ever to lead the firm,” he said, adding that the tactic had often been used by other family-run South Korean business empires. One analyst who declined to be named said the departure of the 64-year-old Samsung veteran may signal a broader reshuffle at the top. “Samsung’s CEO-level leadership has remained largely unchanged for past three years, which is like an eternity in the fast-changing tech industry,” said the analyst. The group has not made any radical changes in its leadership since 2014 when the current chairman Lee Kun-Hee suffered a heart attack that left him bedridden.